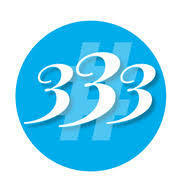 333 SOCIAL MEDIA LLC (the “Company”) respects the privacy concerns of the users of its website, 333Marketer.com and the services provided therein (the “Site”). The Company thus provides this privacy statement to explain what information is gathered during a visit to the Site and how such information may be used. Get Ready For The Bio! Share your name & email and I'll share my speaker's one sheet with you. It includes course offerings, references, certifications, and letters of recommendation!